Slip-on Sneaker Flats Just $10.99! Down From $30! Shipped! 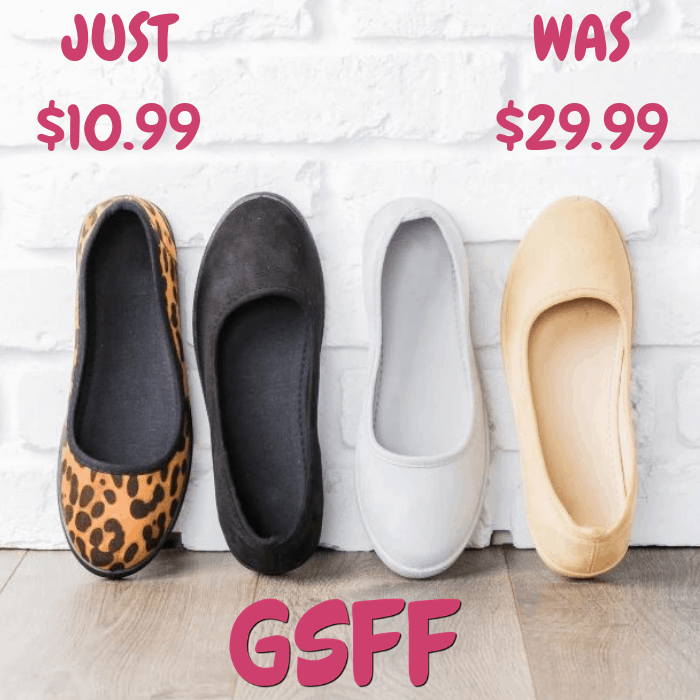 You are here: Home / Great Deals / Slip-on Sneaker Flats Just $10.99! Down From $30! Shipped! Through January 31 only! Head over to Jane to score this Slip-On Sneaker Flats for just $10.99 down from $29.99 PLUS FREE shipping! Stay cute and comfy all season long with these essential ballet flat sneakers! Made of faux suede material and features a slip-on style, cushioned insole, and approx. a .5” white rubber sole (also available in solid color soles). This style is a crucial must-have, season to season!